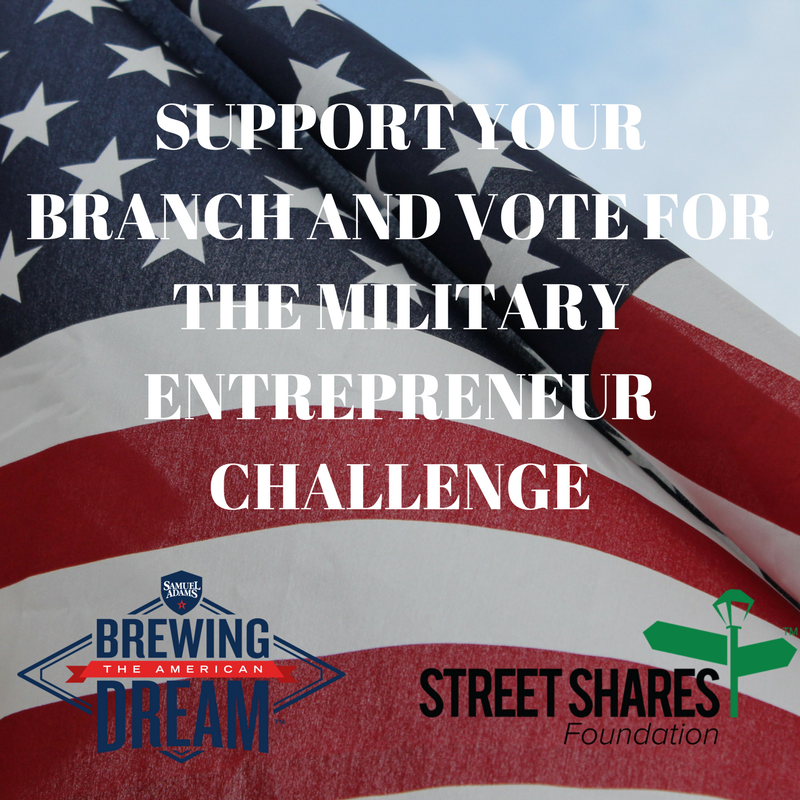 The StreetShares Foundation and Sam Adams Brewing the American Dream program have partnered to present the Military Entrepreneur Challenge! 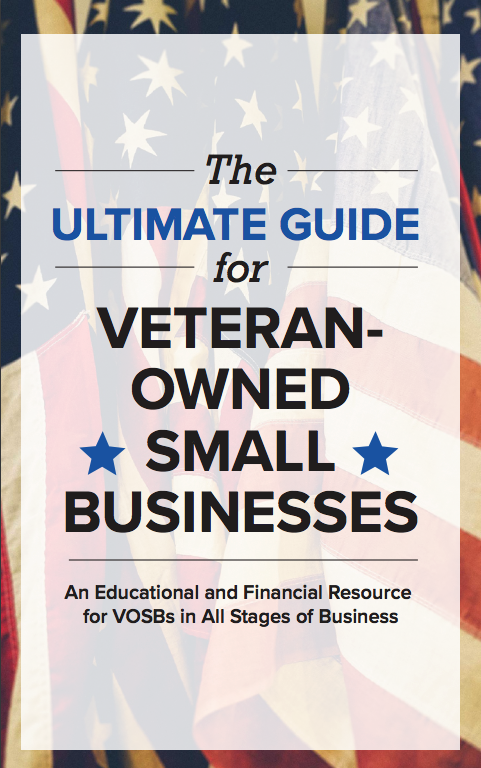 This challenge allows military veteran entrepreneurs to compete for public votes in order to have their military branch declared the branch with the best entrepreneurs. 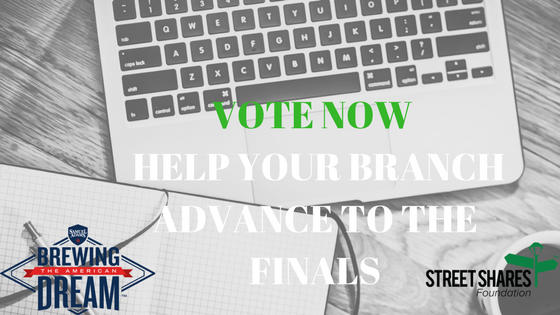 Only the entrepreneurs from the two service branches with the most votes will move on to the final round. Cast your vote now to help these military veteran entrepreneurs receive funding to grow their businesses! Patriot Dog Training is owned and operated by Wounded Navy Veteran Benito Olson. Benito has been training dogs for over 13 years. While serving in the Navy as Master at Arms Chief Petty Officer, he was recruited by Navy SEAL Teams to train some of the most advanced dogs in obedience, detection, protection, tracking and many other capabilities. During his time with the SEALs Benito had a chance to work with some of the country’s finest trainers. My name is Bryan Jacobs and we are Vets2Success Inc. Vets2Success Inc. began operations three years ago, due to the loss of my younger brother to veteran-suicide. Vets2Success is dedicated not only to my brother but to many other families that have dealt with the pain and suffering of losing a loved one to suicide. There's a rough road that goes along with loss. That rough road encompasses something that most veterans are not prepared to understand, and it's not about transition; it's about reintegration. Reintegration's something that we focus on through food and brew. Regeneration Pittsburgh is a pain management medical clinic offering non-opioid, non-surgical options to treat pain. I have been in collaboration with the pain management clinics at the VA here in Pittsburgh in efforts to augment their system with non-traditional approaches to treat pain. We have a small team (my wife and I) with a simple mission: Regenerate the Body, Rejuvenate the Mind, Re-engage Life. With your help, we will be able to help a lot more veterans to do just this! My partner and I are both US active duty military and have developed the "GoPUCC". It stands for Personal Utility Collapsible Canteen for "on-the-go"
The GoPUCC is a durable multipurpose collapsible canteen/supplement shaker bottle. It can accommodate all hot, cold and frozen beverages. It also has been designed to be used as a collapsible shaker bottle for powdered supplement beverages like protein shakes. It can expand to hold 27 fl-oz/800 mL (with a little more room at the top) and can collapse into a "puck" like shape for ease of travel when not in use. My name is Sally Roberts and I am a 2x world bronze medalist in women's wrestling, a combat Veteran for PYSOP and have a M.A. in Sport and Performance Psychology. I founded Wrestle Like A Girl ("WLAG"), a 501©3 in 2016 on the premise that all girls and women should afforded the opportunity to participate in the sport of wrestling; however, some did not know the option existed. WLAG travels around the country (and world) teaching girls the technical component of wrestling and combining it with life skills - such as confidence building, energy/anxiety management and teamwork. We have been a force since inception as we are the ONLY female wrestling organization in the world that advocates and supports female wrestling. Savannah Sauce Company makes AWESOME sauces. We began by accident, actually. We were at a shrimp and grits festival and met a couple selling their sauces and purchased some. I noticed that they were selling distributorships. We purchased a distributorship with the expectations that they could keep up with demand and quality. In short, we were very disappointed and terminated our relationship with the manufacturer. We crafted our own signature sauces in two weeks the rest is history. Our products are found in 6 states (Al, GA, MS, NC, SC, TN) in 44 stores. Military families want local, sustainable, organic produce and we are ready to provide the quality produce that we all deserve to consume. We decided to start a farm and branded it Townsend Family Organic Farms. We have a need to expand further in order to keep up with the demand. We have established a daily farm stand that we foresee will turn into a CSA with weekly recipes to match the produce being harvested in that week. The military family should never lack for quality produce at an affordable price. With more towers, we can grow enough plants to make a weekly delivery service convenient for the family of those who serve and will continue the mission of making healthy food available to the military family regardless of their station on this island. SmartBins is a technology integrated bulk food aisle streamlining the bulk food shopping experience. We give grocers a competitive edge by increasing high margins sales as well as offering customer savings while exponentially reducing food-related waste. We believe environmental sustainability can be a business advantage. By streamlining the food distribution chain, we can reduce food related waste while boosting grocer profits and customer savings. If granted this Veteran Small Business Award we would be able to continue our product development to bring SmartBins to the market by the end of the year! In our award-winning content designed by education experts about real heroes, kids develop reading ability and learn leadership skills by making decisions that determine the story's outcome. The Street Shares Grant would make a hugely impact on our business. Our audience is wide – kids aged eight to twelve years. Our consumer base is currently rooted in traditional-values families and our marketing targets homeschoolers and the military community. However, our potential market is much larger and lies in educational technology. Veterans and the military community appreciate our mission. Our larger goal is to tell true stories about real leaders that will help future generations become readers, develop leadership skills and gain an appreciation for American heroes and history. We’re Lithic Foods, Colorado’s first insect-based foods company! We use roasted and milled crickets in a fine powder to integrate a highly sustainable and robustly nutritious protein into familiar products in the American diet. We currently make protein bars, protein powders, and flours to make cricket protein approachable and accessible for Americans to introduce to their diets. Much like sushi was novel and initially seen as “different,” we are proving insects are the next major adopted protein source in our food system and are a category leader in this industry set to explode to over $1.2 Billion by 2023. Our idea stems from Dave’s multi-year deployment with the Marines in SE Asia where he experienced insects as food, and sought to bring this idea back home. He started Lithic with his twin brother Lars, and they began introducing products in late 2016. Eric came to the team in 2017 and gave up his entire life to join Lithic full-time. We’re proudly minority, veteran, and LGBTQ owned.